Follow us on new product announcements, application notes, publications, media, etc. Stay tuned with latest 3T news. 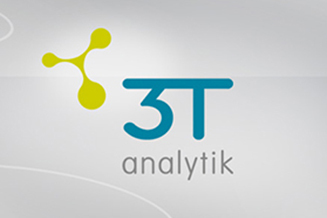 3T analytik chooses the Tegent Group as its new Distributor in China! At analytica China on 31. October 2018, 3T analytik signed a distributorship agreement with the Tegent group. We from 3T wish you a Merry Christmas and a Happy New Year filled with Peace and Prosperity! With the latest innovation from 3T analytik, the qCell µOpto, your QCM-D measurements are combined with real time microscopy of the sensor surface. We are proud to launch our new product line in genotoxicity testing. and on those who have helped us shape our business. On Monday 25.09.2016 at 13:00h in the Lecture Hall B of the FAU University in Erlangen, Dr.
With the launch of qCell T Auto, 3T could again elevate the automation level and the operational ease of QCM-D measurements. We are very proud to annouce that 3T is certified for ISO 9001:2015. We are very proud to annouce Techscience as our distributor for Japan. Micro Photonics is the leading source of advanced instrumentation for scientific and industrial research in the USA. We are proud to welcome IGZ as a new distributor for our QCM-D instruments. On our new website, you can find tons of useful resources. In Applications, you will find in which fields are 3T products used. Get in Touch with 3T - Your partner in surface interaction analytics!